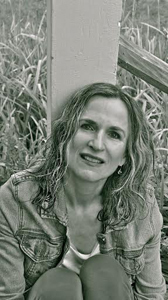 The Malahat Review congratulates Rebecca Foust, of Kentfield, California, on winning the 2014 Constance Rooke Creative Nonfiction Prize. Her entry, "Venn Diagrams," was chosen by final judge Priscila Uppal from over 160 entries. Of Foust's story, Uppal said: "Venn Diagrams" is a unique meditation on mortality that recasts memoirs of pregnancy and motherhood into concrete representations of where lives can and cannot intersect. Although the author utilizes the clever and appealing visual conceit of Venn diagrams, her narrative retains all the raw emotion and honest confession of someone who has lived with the chaos of illnesses—her own and those of her autistic son. "In those dark moments I can draw no neat circle to contain my fear nor find any logic to confute the calculus of loss," she writes; yet, her story offers readers a space in which to acknowledge the radius of mourning that touches us all. Congratulations to Rebecca Foust, winner of the 2014 Constance Rooke Creative Nonfiction Prize! 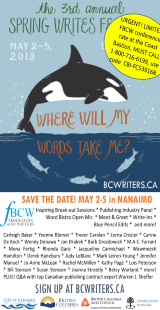 Rebecca Foust’s books include All That Gorgeous Pitiless Song, awarded the Many Mountains Moving Book Prize and nominated for the Poet’s Prize; and God, Seed, awarded the 2010 Foreword Book of the Year Award and a Mass Book Award finalist. 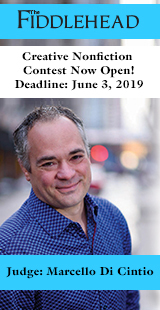 Foust received an MFA in Poetry from Warren Wilson in 2010 and is the 2014 Dartmouth Poet in Residence at the Frost Place. She is also the recipient of a fellowship from the MacDowell Colony. 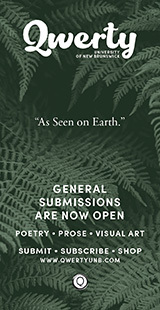 New poems are in current or forthcoming issues of Bellingham Review, Hudson Review, Massachusetts Review, Mid-American Review, North American Review, Omniverse, Southern Poetry Review, and other journals. Check out her website here. Priscila Uppal is a Toronto poet, fiction writer, memoirist, essayist, playwright, and a Professor of English at York University. 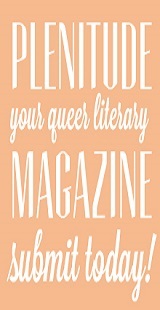 Among her publications are nine collections of poetry, most recently, Ontological Necessities (Griffin Poetry Prize shortlist), Traumatology (2010), Successful Tragedies: Poems 1998-2010 (Bloodaxe Books U.K.), and Summer Sport: Poems; the novels The Divine Economy of Salvation and To Whom It May Concern. Her work has been published internationally and translated into Croatian, Dutch, French, Greek, Italian, Korean and Latvian. She was the first-ever poet-in-residence for Canadian Athletes Now during the 2010 Vancouver and 2012 London Olympic and Paralympic Games. Her memoir, Projection: Encounters with My Runaway Mother (2013) was a finalist for the Hilary Weston Writer’s Trust Prize for Non-Fiction and the Governor General’s Award for Non-Fiction. Time Out London dubbed her "Canada’s coolest poet." 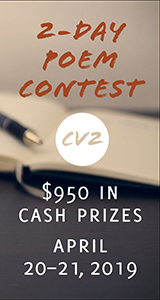 Stay tuned for an interview with Rebecca Foust on her CNF Contest win. "Venn Diagrams" will appear in the Malahat's Winter 2014 issue (#189). Andrew Bryant, "Hatless in Morón"
David Manicom, "Songs of the Earth"
Catherine Owen, "Four Days of the Dead in Mexico as Recounted Through Lines from Malcolm Lowry’s Under the Volcano in Eternal Memory of Chris"
The Malahat Review thanks all entrants for their continued support of literary contests!